I was reading one of those articles that they aim at people who are either just choosing a career path or maybe they’re looking to go on a new one. My day job is great- there isn’t a lot of money involved, but I like the company, my co-workers awesome and and I like what I do. But that article made me think outside the box. The thing of it is when I think outside the box I end up far afield. I might not learn a lot and I’m sure I’m not using the information provided as it was intended but at least I can say I enjoyed the heck of the article. I’m not particularly enchanted with the idea of getting my head cut off, but in the past I’ve worked at jobs that broke my spirit and made me feel small and stupid so how does a little decapitation compare to that? In addition I like to be out at night- the darker the better, cold enough to rattle your bones? I’m good with it. Big plus here- I’d get to ride a wicked horse and that takes me right back to the days when I rode motorcycles – wow- be still my heart- I’d probably get to wear leather again too. I tempt fate now and then, but I don’t wait for it to turn it’s back and then sucker punch it in the back of the head. People who act like that manage to hurt everyone around them so I think it wouldn’t hurt them to get chased across a bridge on a dark, foggy night by a demonic horse and someone who really and truly loves her job. And as for the Pooh-Poohers? They’re the one’s who think they know it all because they are so enlightend of heart and intellect that they can tell themselves in all honesty that they’re not ramming their view point down your throat because they’re actually the most vicious and intolerant human beings to walk the face of the earth and are only listening to you talk long enough so yes…they can pooh pooh what you say..
I’d like to introduce you to my not so little friend who was created to chop off limbs and is not known for making surgical style incisions. I am sure you get to travel or maybe fill in for other Headless Horseman on other Bridges or Roads. Or maybe you get to chose. That would be great. Halloween must be awesome. I’ll bet you could arrange a take your kid to work day. Of course my kids are grown up but I do have a few cats who would probably love the ride along experience because who wouldn’t? You get to set your own hours. From what I understand the Headless Horseman pretty much show up when they want to. Awesome. 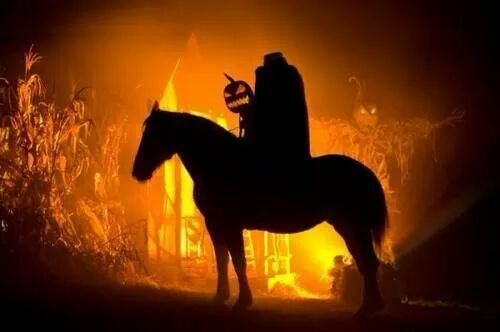 I’ll bet the Headless Horseman get to meet some cool monsters like Werewolves and Mummies and Ghosts. My guess is that they hang out in cemeteries which is fine with me because I actually used to work in one. This could be the perfect job for me. 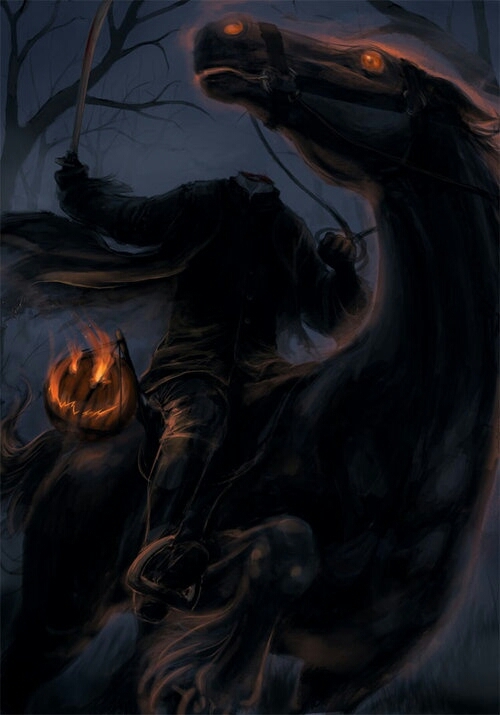 I’ve heard a bunch of different legends for how The Headless Horseman came to be. Do you have dedication, skill, flexability and determination to complete your task at hand? Are you a self starter and self motivated? Do you like horses and are you willing to work late hours? ← Ya Lil’ Devil You!